Mason Bryant is the Vice-President of Product Management for SigniaDocuments. He has over 15 years of experience and held management positions in practically every facet of the mortgage arena. He worked as a Business / Software Analyst for Mortgage Resource Network from 2003 to 2006. 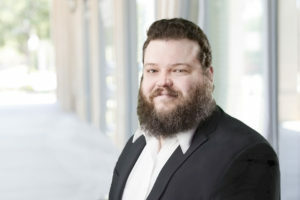 Just prior to Mortgage Resource Network being bought by Clayton in 2006, Mason departed Mortgage Resource Network to focus full-time on his college education, graduating from Southern Methodist University’s Cox School of Business. In 2007 SigniaDocuments was formed and Mason joined the company shortly after in 2008. Mason began his career in the compliance department helping build SigniaDocuments’ system and library from the ground up. In response to the industry needs, Mason led the effort in establishing SigniaDocuments as a leading electronic loan modification document and solution provider. SigniaDocuments was able to support many servicers in those modifications both custom and HAMP/HARP as well as other government programs to help homeowners coming out of the recession. In the years following the recession, he returned to a technical role as the lead Business / Software Analyst and was quickly promoted to the product manager of the application before arriving in his current position as VP of Product Management in 2014. In his years since returning to a technical role, Mason has led SigniaDocuments through the 2010 GFE/HUD-1 implementation, QM, TRID implementation, and UCD implementations in addition to expanding SigniaDocuments’ product offerings through several Loan Origination System integrations. He continues to manage the application strategy and services which include being one of the mortgage industry leaders in SMART document technologies and eMortgage services.